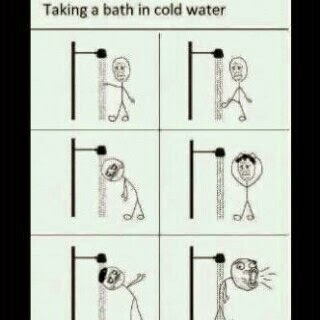 Having your early morning bath may be difficult especially during the harmattan due to the extremely cold weather. But here are easy steps for to have your bath as illustrated in the image Above. 6. Now try to wash the rest of the body all in 5 seconds. Then you’re good to go.